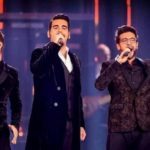 As Sanremo preparations are underway, acts’ names as potential candidates keep coming up. Although we don’t have any act yet that has officially confirmed its participations, we already know two names that have confirmed their absence. The two acts that have already revealed that they won’t be participating in the forthcoming Sanremo Festival, are popular Italian artists Gigi D’Alessio and Anna Tatangelo who inspite of being favorites to compete in the competition, eventually turned down Claudio Baglioni’s proposal. The two year artistic Director of the festival wished to have the two acts compete in the festival as a duo, but this was impossible for the two Italian stars as their program is overloaded with other projects on which the prefer to focus on. Therefore Claudio’s quest for the acts that will fill in the gap the two italian acts are leaving behind is the next “talk of the town”. Gigi had participated in San Remo 2000 and 2001 while Anna has competed six times in 10 years and scored a victory in 2002 with her song Doppiamente fragili. Apart from these two acts , there are several artists mentioned as potential SanRemo contestants. Among them Capo Plaza, popular rapper Ghali and Sfera Ebbasta. Additinally Loredana Berte, Giusy Ferreri who continues her successful career since 2008 Ricardo Marcuzzo known as Riki are some of the names heard for the SanRemo stage. Although it hasn’t been officially announced we have no opposite indications that the winner of the festival won’t be Italy’s next Eurovision representative. The 2019 Sanremo Song Festival will be running from 5 to 9 February 2019 with the Grand Finale scheduled to be held on Saturday 9 February. The coveted song festival will be held once again at the Teatro Ariston in Sanremo. Italy has participated in the Eurovision Song Contest 44 times since making its debut at the first contest in 1956. After a 14-year absence from 1998 and on, the country returned to the contest in 2011. Italy has won the contest twice in 1964 with Gigliola Cinquetti and her song “Non ho l’età”. Italy’s second victory in the contest came in 1990 with Toto Cutugno and the song “Insieme: 1992”. 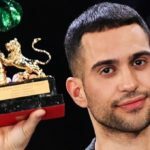 Italy’s come back to the contest has proved to be very successful, the country having finished in the top ten in six times of the last seven contests (2011–2018), with Raphael Gualazzi second in 2011, Nina Zilli ninth in 2012, Marco Mengoni seventh in 2013 and Il Volo third in 2015, Francesco Ghabbani 6th in Kiev. In this year’s Eurovision Song Contest the winners of Sanremo 2018 ,Ermal Meta and Fabrizio Moro, represented Italy in Eurovision in Lisbon with their song “Non mi avete fatto niente”. The Italian duo achieved an honorable 5th place in the Grand final with 308 points and a remarkable 3rd placing in the public voting.